Week nights, especially during this time of year, can be pretty difficult when it comes to decide what to do. With it being so dark and cold outside, sometimes the last thing on my mind is leaving the house. One of my favourite things to do on a week night is pop on some comfy lounge-wear, get a big mug of tea and chill out on the sofa with Netflix. Here are some of my Netflix top picks at the moment. Brooklyn Nine-Nine - A funny sitcom based in and around the Brooklyn Nine-Nine police detective department. It is a great program to lift your spirits and with each episode only lasting 20mins its a really quick and easy show to watch. Making A Murderer - I have actually finished watching this show but I would highly recommend it. After taking the internet by storm I jumped on the band wagon and watched this true-life documentary series which follows the trial of a man who is framed for a murder he claims he didn't commit. Outnumbered - A typically english comedy about the everyday life of an everyday family. The children in this series were given a loose story line but the program itself has no script and is mostly improvised. It is really light-hearted and easy to watch after a long day at work. Sherlock - I love police detective shows and have read the stories of Sherlock Holmes so this, naturally, is a show that I love watching. Each episode is an hour and a half long so it is more like a film series in a way, with drama, comedy and brilliant acting. The Life Of Mammals & The Blue Planet - I love a good nature documentary and you can't get much better than one narrated by the wonderful David Atenbourough. I love to really relax on an evening by putting an episode of one of these series on and learning new things about our beautiful planet. 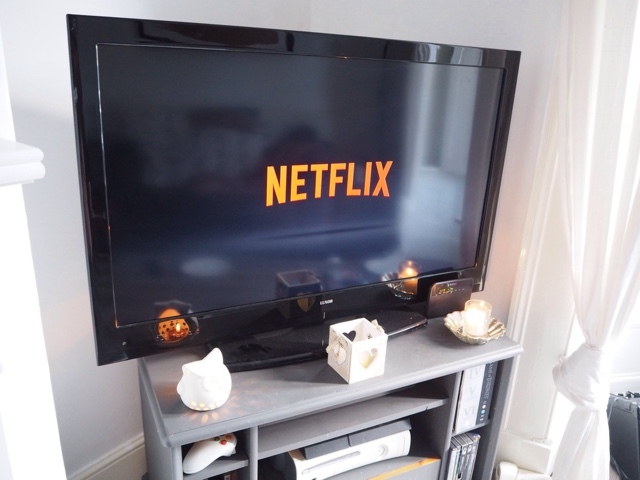 What are your favourite week night Netflix picks?